Activities to kick-start the 2017/18 top-flight, which began with the on-going club licensing, will enter the next stage with the annual NPFL preseason tournament from December 11-17 to usher in the grand season opening matches on January 14, 2018. The schedule of the new season’s activities, endorsed by the League Management Company (LMC), will witness a flurry of activities including the induction and orientation workshop for the four newly admitted NPFL clubs on December 14 and the LMC Pre-Annual General Meeting (AGM)/Consultative Meeting with NPFL participating clubs on December 16 in Kano where the pre-season tournament will be held. The LMC have also fixed January 5, 2018 as the final date for submission of Club Licensing documentation by clubs participating in the league. 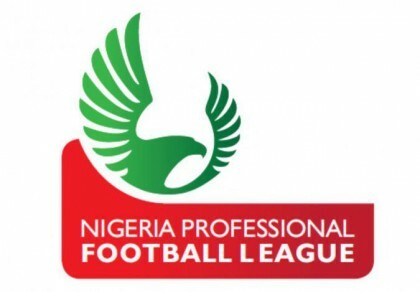 The statement read, “January 5 is the cut-off date for compliance with redemption and settlement of any outstanding payment of salaries arising from 2016/2017 NPFL season to players and coaches and or provision of an acceptable Financial Guarantee to guarantee the overdue payments and a tentative payment plan from the club proprietors,” he said. Another highlight of the calendar comes up on January 8, 2018 when the LMC, which is First Instance Body (FIB), will issue the NFF Club Licensing Certificate to qualified clubs that meet the criteria for participation in the 2017/2018 NPFL season. “The 2017/18 season will start at all centres on January 14 and in the first half of the season there will be three midweek matches on match days 2, 4 and 5 while the mid-season break will be from April 30 – May 5 followed by a longer break for the Fifa World Cup from June 14 – July 15. Resumption from the World Cup break will be on July 18 with match day 25, which will be the first of another three midweek matches in the second half of the season. The other two midweek fixtures will be on match day 27 and 29,” continued Abubakar in giving a breakdown of the calendar. The LMC assured that it took into consideration all scheduled fixtures of the Aiteo Cup, Caf Club competitions and the Fifa World Cup in planning the calendar, noting that “this is part of the reason we delayed the release of the fixtures and barring any unforeseen events we definitely will conclude the season on September 30, 2018,” he said.